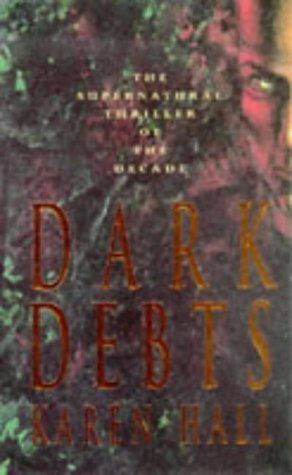 This week, I had a book in mind right away, as Dark Debts was a horror-thriller novel I read only a few short years ago, and the story along with its main character who is a Jesuit priest has stayed with me ever since. 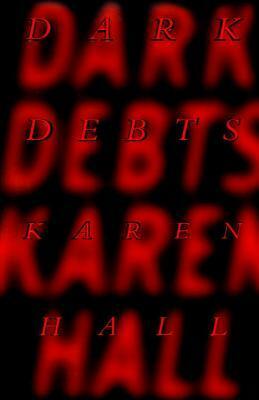 What’s also interesting about this novel is that its 2016 re-release was not simply a new edition of the 20-year-old cult classic, but actually a completely reworked version featuring extensive changes including a different ending. The reason, the author explained, had a lot to do with how much she has changed as a person in the last two decades, as well as gaining more knowledge and understanding into her own Catholic faith. 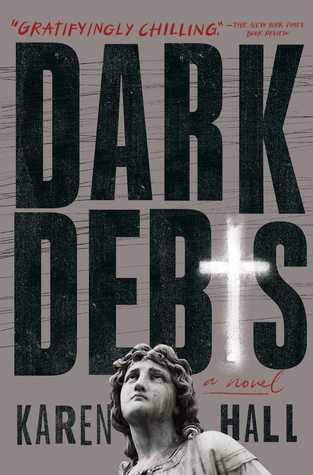 The novel itself is a Gothic horror involving demonic possession, exorcism, and a heavy dose of mystery. 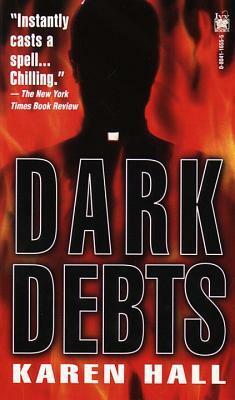 The story begins with protagonist Father Michael Kinney testifying as a witness to a horrific crime involving a teenage boy and his two parents, appearing in court against the wishes of the church. In response, Father Michael’s superiors transfer him to rural Georgia immediately after the trial, forcing him to leave his old parish in Manhattan. Believing his exile to be a result of church politics, Father Michael is stricken when he discovers the truth about the dark, terrible secrets in his family’s past and that his transfer might in fact be no accident at all. I’ll be honest, they’re all terrible this week. Sure, a couple are worse than others (to be fair, something tells me the Pan edition is meant to be foil, because they liked doing that stuff in the 90s), but they’re all pretty bad. For me, it was a toss-up between the “stone statue” or the “priest” cover, though ultimately I went with the Simon & Schuster, and mostly because this is also the edition I own (the 20th anniversary hardcover with blood-red sprayed edges). I agree that the covers are all ready bad! I can’t even pick one! First of all I’ve never heard of this novel but you might have just had me at exorcism. That being said, all of the covers are pretty bad but if I had to chose, I’d pick the same one as you. This is definitely one to grab on ebook if I ever read it because I have no desire to stare at the cover. And I STILL can’t quite figure out that last one, You can hardly read anything on it! Yeah it’s a pretty decent book, which is why it’s such a shame it got some pretty bad/dull covers! I’m with ya. Pity it was such a tough topic this week, or I would have gone with a book with better cover choices. I feel the same way you do, none of these are very exciting, but I’m definitely drawn to the S&S edition. Yeah, I agree with you, none of these are great covers. The one you picked at least has a good clean format so you can read the title. Exactly. The original first edition cover looked so unprofessionally done! And that last one, the foil or whatever they did to it is just a mess. Hahaha, I agree, they are all terrible! WHY ARE THE WORDS SO BIG?! THE BOOK IS SCREAMING AT US! Yeah, I really couldn’t pic a “favorite” – I just went with “least bad” LOL! I’ve never heard of this book but I think it might be something I’d like – I agree on your choice of cover – none of them are really awe inspiring but the statue and the cross give your winner the edge.